Last month I started a new job as a crisis counselor (more on that to come later) and the thought of meal planning makes me want to run away from home even more. Each week I tell myself I’m going to look on Pinterest and start planning meals like all of those other perfect moms out there. And each week I fail miserably and we eat out entirely too much or spend hours each week asking “What do you want to eat?” Yeah, that question is starting to get pretty old around these parts! Dream Dinners, a national meal-assembly company known for bringing families together around the dinner table, announces the launch of Dream Dinners & ShareCrate. This care package allows customers to ship easy, homemade and affordable frozen meals to friends and family members experiencing a life moment like the birth of a new baby, the death of a loved one, moving across the country or even starting a new job! Earlier this spring Dream Dinners/ShareCrate invited me and a bunch of other lovely bloggers to a tasting of some of their most requested meals. We were treated to great food, conversation and drinks. Dream Dinners ShareCrate is like the meal planning gawds from above flew down and decided to make our lives easier. The meals are prepared fresh, frozen and shipped to your home. No shopping, dragging the family to the store kicking and screaming (me included) and no drama! Now there are a few things I like to prepare like quiche…and well, er uh….heck I guess that’s it! With your package you get a paper card for each meal you prepare with complete, fool proof cooking instructions. It’s also an amazing way to get the kids more involved with dinner prep too! My teenager has actually turned into quite the little “wanna be chef” so it’s nice when she can help out. A little Spring Chick nail art to celebrate that Easter is just around the corner! I was inspired by the nice warm weather to paint something Springy. And of course I found this idea on Pinterest. I love the yellow, white polka dots and little baby chick. It’s the perfect mix for Easter and Spring! 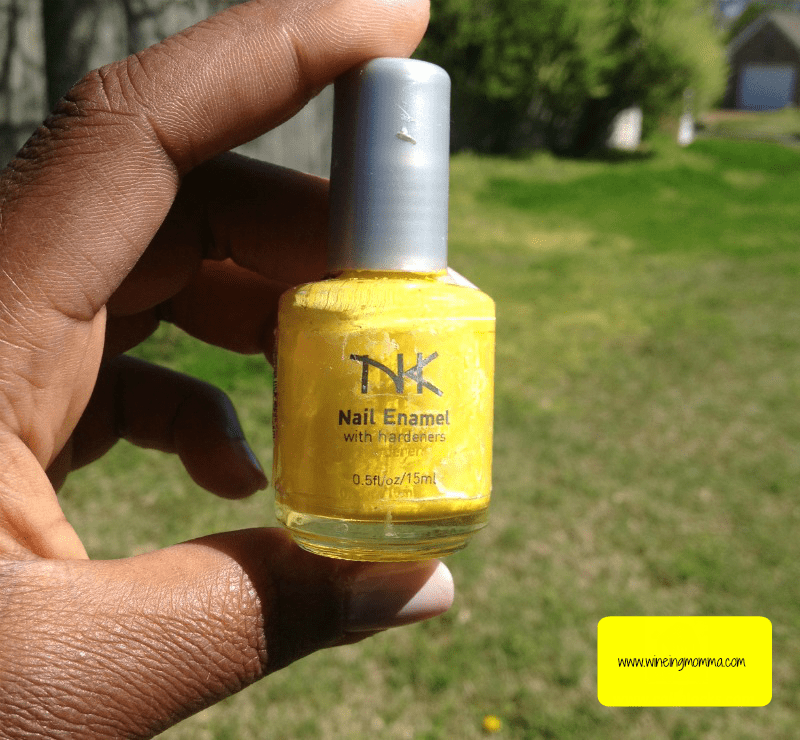 The brand was NK nail enamel that I picked up at my local beauty supply store for about $1. I was so happy when I finally found a yellow polish that was opaque enough that I wouldn’t have to use a white polish as the base coat. And the best part was the price! I think beauty supply stores actually have some of the best colors around and it’s always fun to find a new brand that you might not find otherwise. Last month Coca Cola unveiled their uniquely designed one of a kind Diet Coke bottles named “It’s Mine” at Kroger stores all over the country. The bottles were displayed on an end cap just before you get to all of the other sodas. 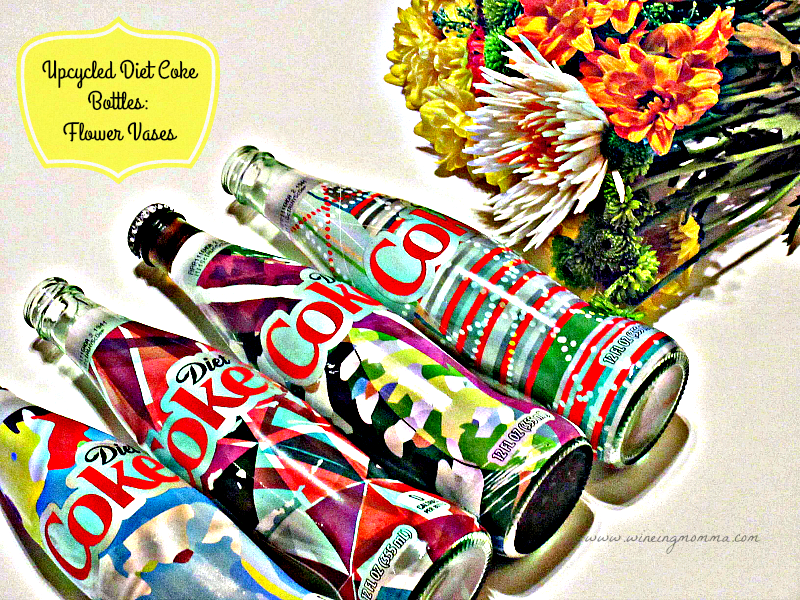 Diet Coke fans will love these new bottles and cans because each one looks like an original piece of artwork. For a limited time, you can find these select colorful patterns on 12-oz glass bottles, aluminum bottles, mini cans and 6-pack ½ liters. What’s even cooler is that no two designs are alike. There are a lot of things that I think that I’m good at. I think I’m pretty good at making people laugh, fairly decent at nail art and can make one hella spinach and cheese Quiche. Outside of that…I don’t have one crafty bone in my body. And I sure as heck am not the best cook. Now for someone who loves to entertain and party as much as me, you would think I’d figure out a way to decorate my house like something straight out of pinterest. I mean I have thousands of pins dedicated just to being crafty and what not! But alas I just can’t pull it off. What I can do though is buy some delicious food and a few decorations and make it look like I put W A Y more effort into than I really did! If you’re like me and you struggle with trying to keep up with the Martha Stewart’s of the world, than you’ve come to the right place! 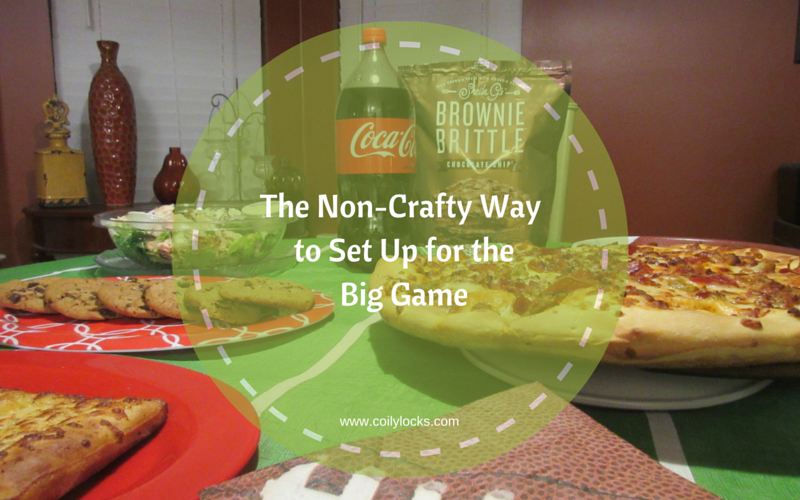 The Big Game is just around the corner and I’ll help you get ready so that all of the football fans (and their fur babies) will feel right at home.